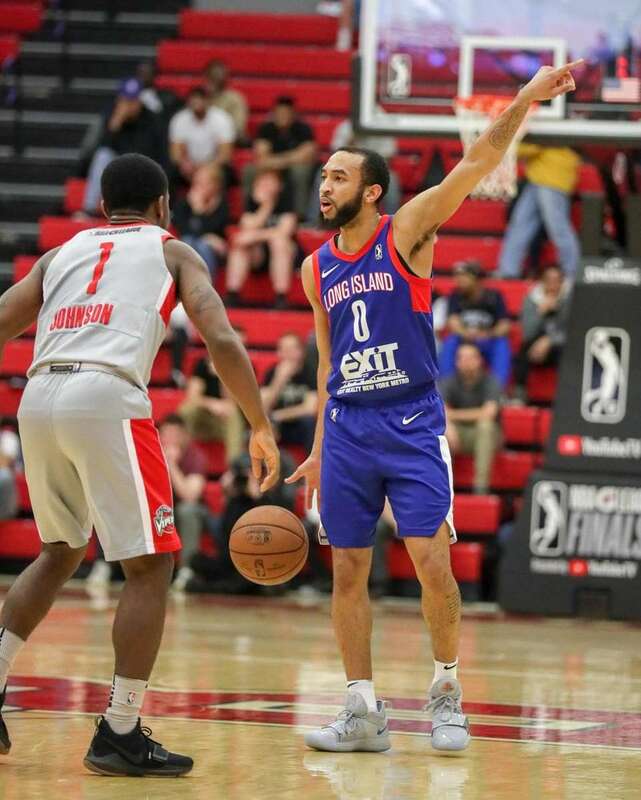 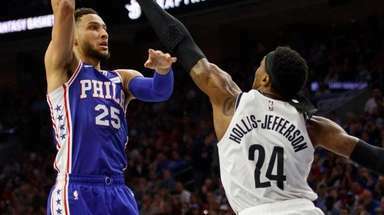 Jordan McLaughlin of the Long Island Nets directs the offense while defended by Jordan Johnson of the Rio Grande Valley Vipers during Game 3 of the NBA G League Finals at Stony Brook's Island Federal Credit Union Arena on Friday, April 12, 2019. 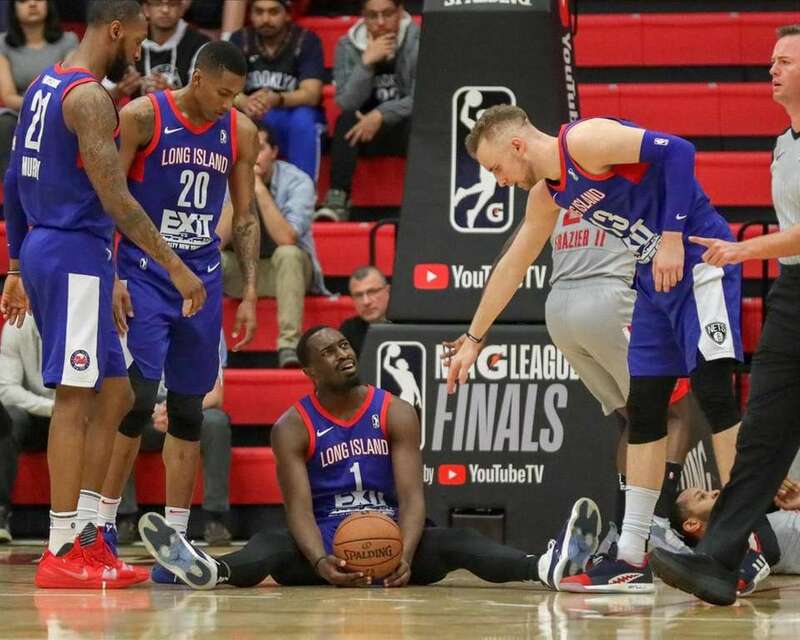 Theo Pinson of the Long Island Nets reacts to a foul call while surrounded by teammates Kamari Murphy, Thomas Wimbush and Dzanan Musa during Game 3 of the NBA G League Finals at Stony Brook's Island Federal Credit Union Arena on Friday, April 12, 2019. 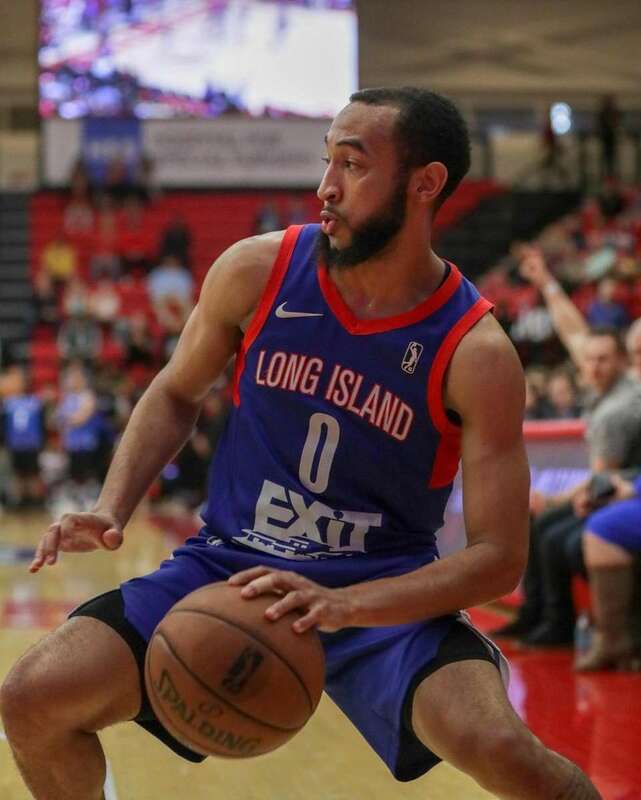 Jordan McLaughlin of the Long Island Nets keeps the ball in bounds during Game 3 of the NBA G League Finals at Stony Brook's Island Federal Credit Union Arena on Friday, April 12, 2019. 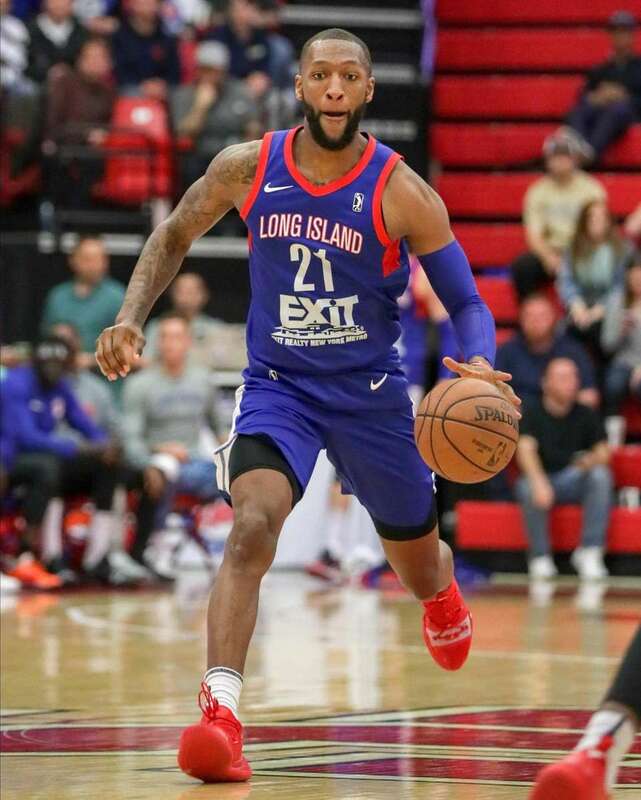 Kamari Murphy of the Long Island Nets drives down the court during Game 3 of the NBA G League Finals at Stony Brook's Island Federal Credit Union Arena on Friday, April 12, 2019. 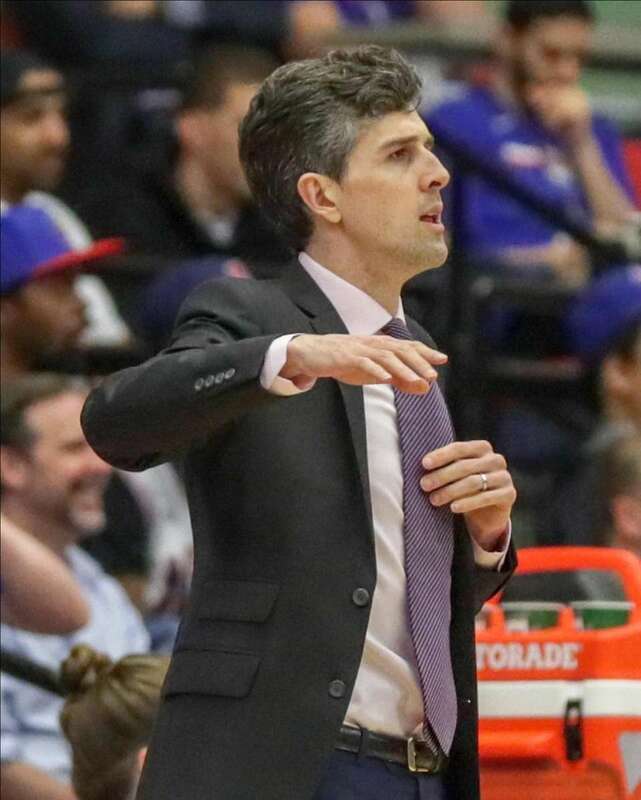 Head coach Will Weaver of the Long Island Nets reacts to a foul call during Game 3 of the NBA G League Finals at Stony Brook's Island Federal Credit Union Arena on Friday, April 12, 2019. 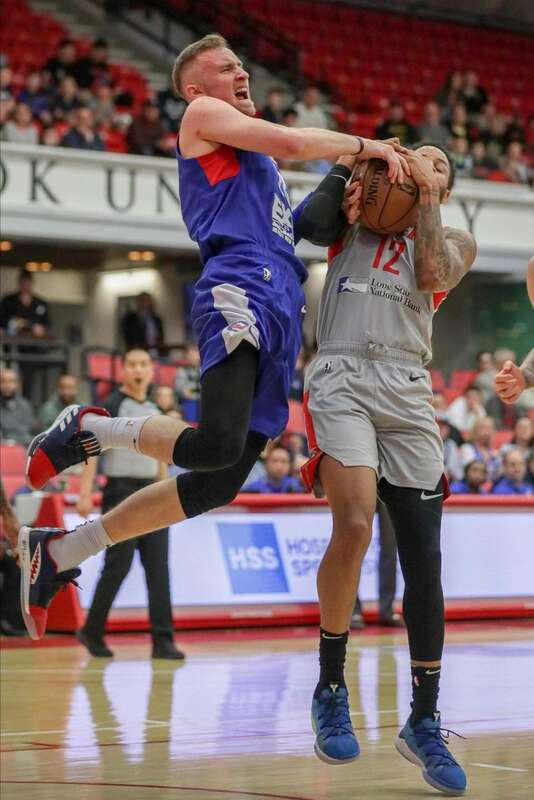 Vincent Edwards of the Rio Grande Valley Vipers and Dzanan Musa of the Long Island Nets struggle for the ball during Game 3 of the NBA G League Finals at Stony Brook's Island Federal Credit Union Arena on Friday, April 12, 2019. 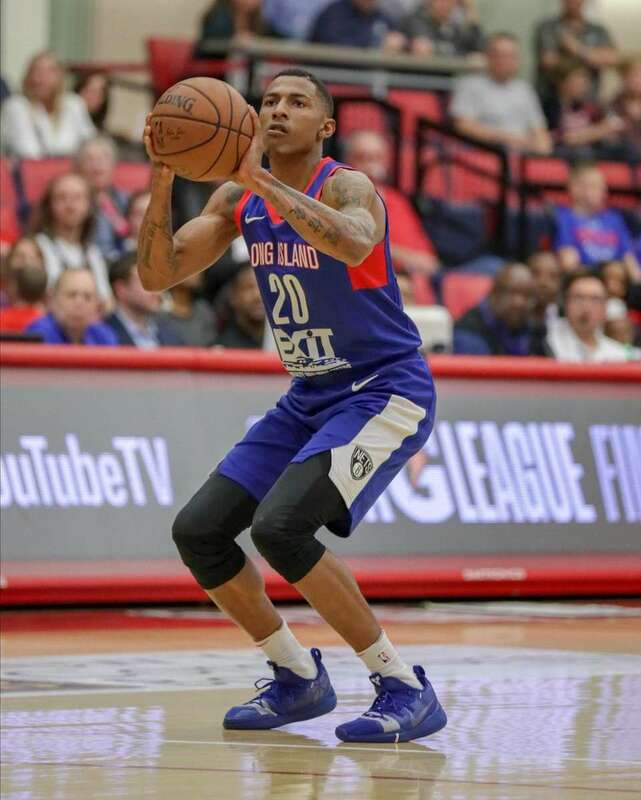 Thomas Wimbush of the Long Island Nets sets to shoot dduring Game 3 of the NBA G League Finals at Stony Brook's Island Federal Credit Union Arena on Friday, April 12, 2019. 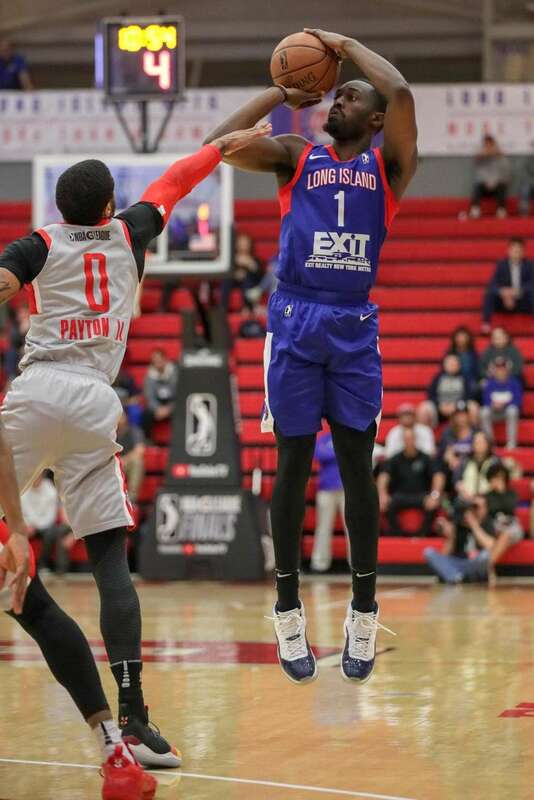 Theo Pinson of the Long Island Nets takes a shot from the outside while Gary Payton II of the Rio Grande Valley Vipersduring Game 3 of the NBA G League Finals at Stony Brook's Island Federal Credit Union Arena on Friday, April 12, 2019. 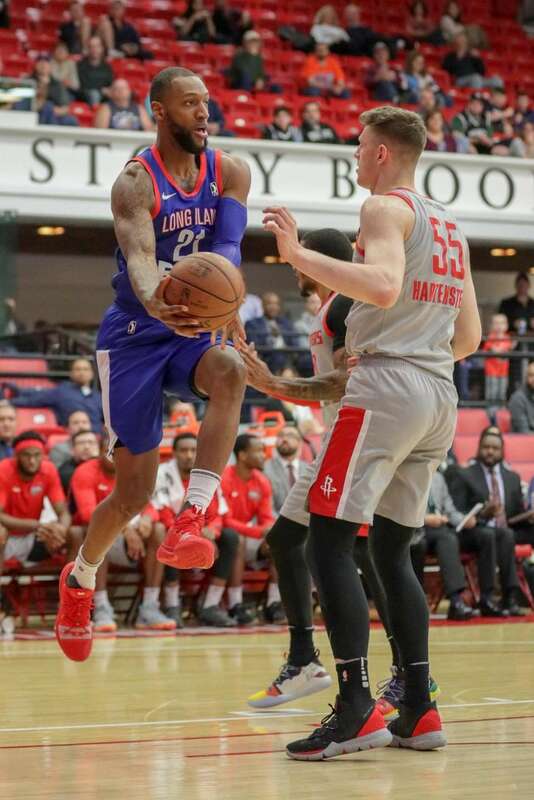 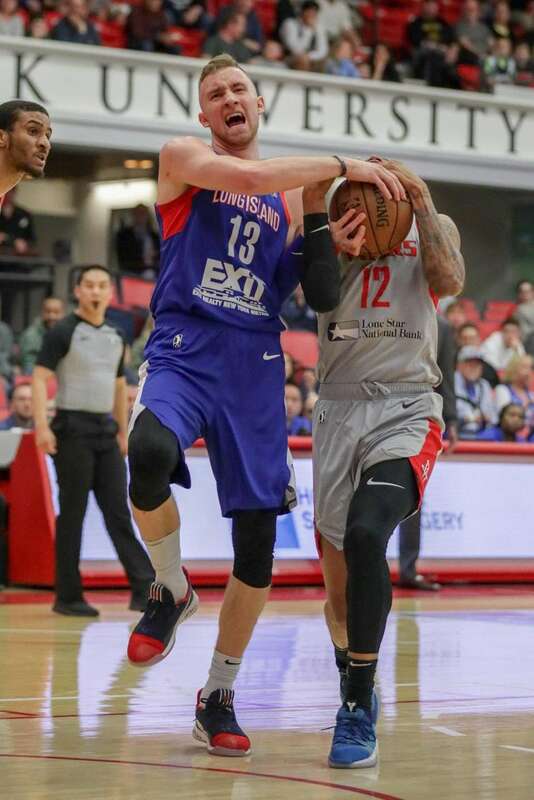 Kamari Murphy of the Long Island Nets looks pass around Isaiah Hartenstein of the Rio Grande Valley Vipers during Game 3 of the NBA G League Finals at Stony Brook's Island Federal Credit Union Arena on Friday, April 12, 2019. 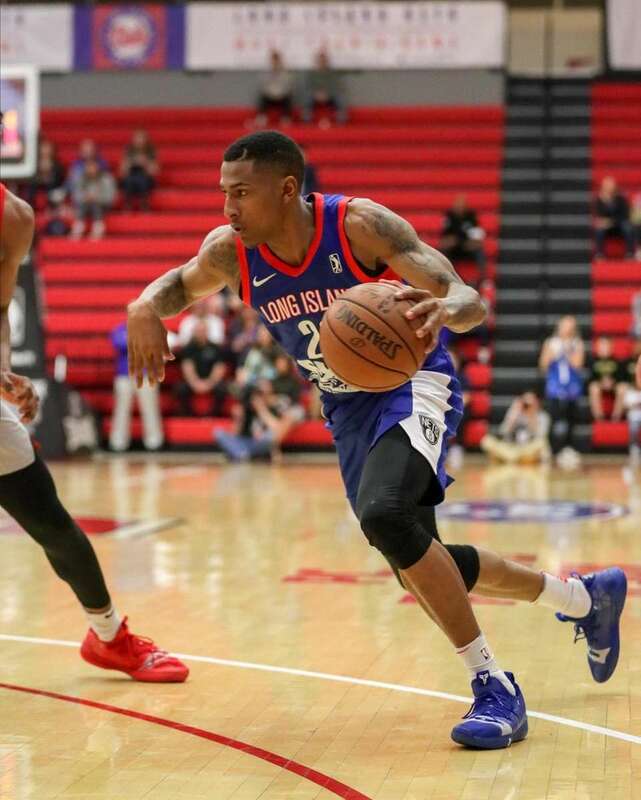 Thomas Wimbush of the Long Island Nets drives on the net during Game 3 of the NBA G League Finals at Stony Brook's Island Federal Credit Union Arena on Friday, April 12, 2019. 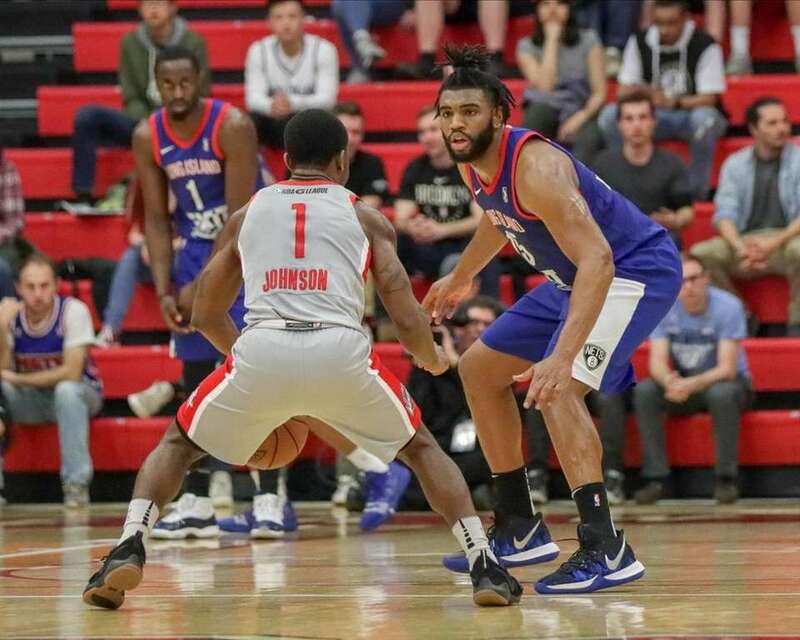 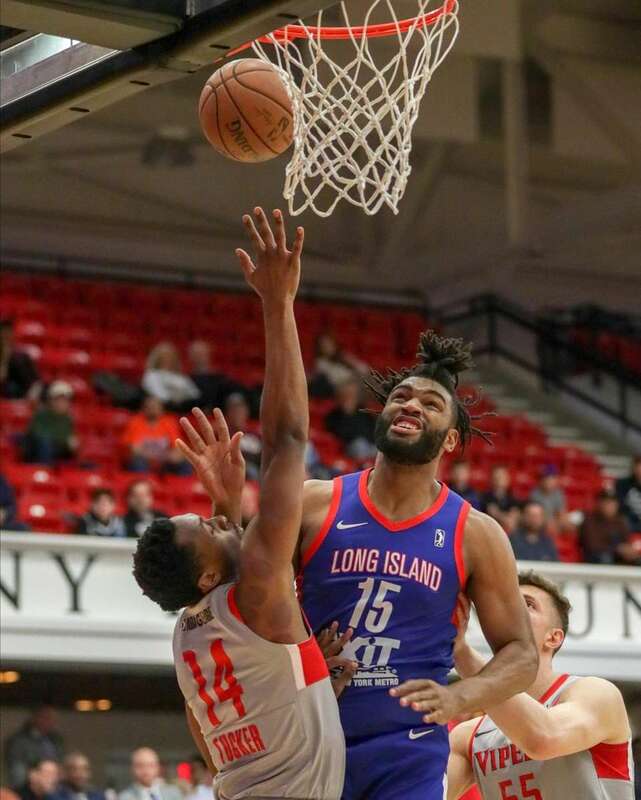 Alan Williams of the Long Island Nets plays defense against Jordan Johnson of the Rio Grande Valley Vipers during Game 3 of the NBA G League Finals at Stony Brook's Island Federal Credit Union Arena on Friday, April 12, 2019. 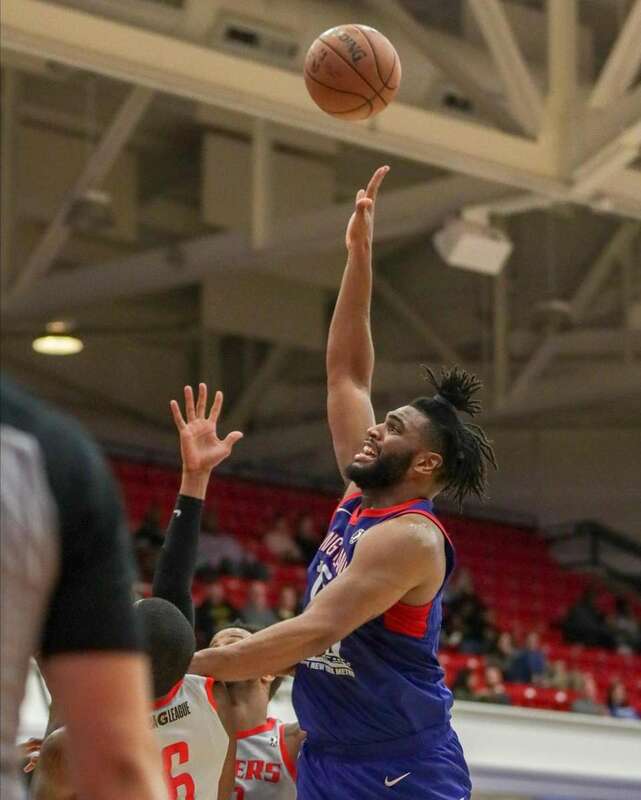 Alan Williams of the Long Island Nets and Dakarai Tucker of the Rio Grande Valley Vipers struggle for the rebound during Game 3 of the NBA G League Finals at Stony Brook's Island Federal Credit Union Arena on Friday, April 12, 2019. 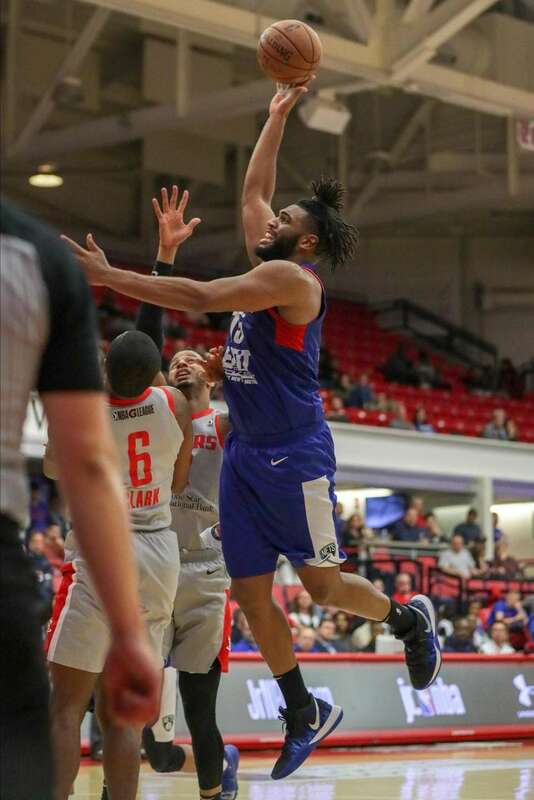 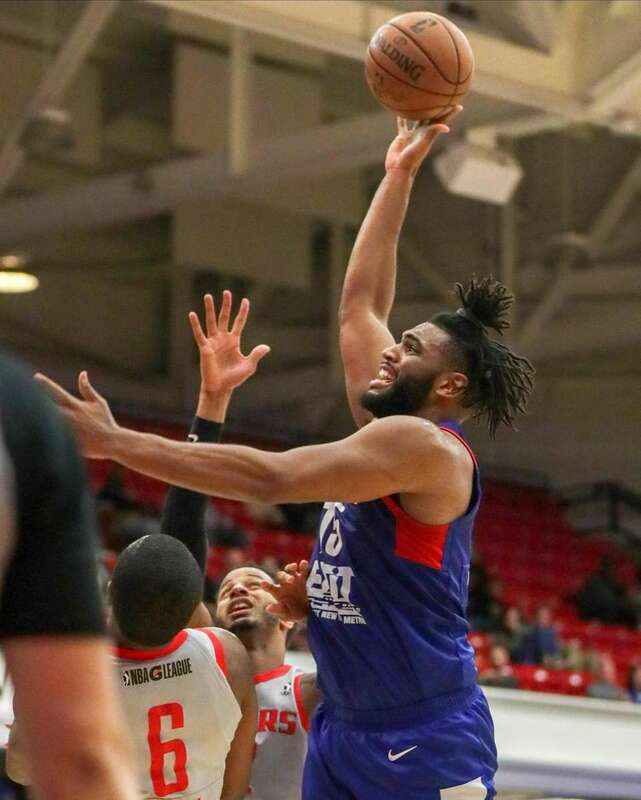 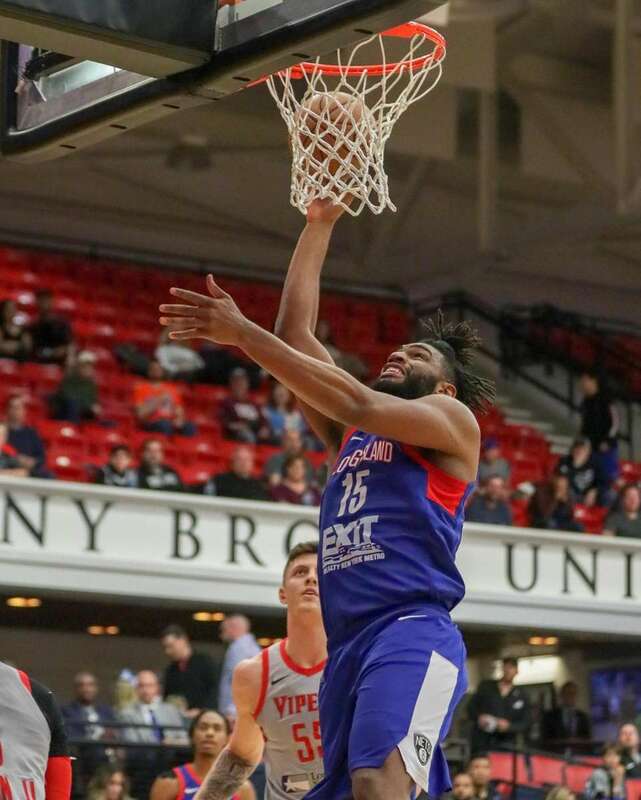 Alan Williams of the Long Island Nets goes up for a shot during Game 3 of the NBA G League Finals at Stony Brook's Island Federal Credit Union Arena on Friday, April 12, 2019.